Florence is expected to bring life-threatening storm surge, catastrophic flash flooding, and significant river flooding. 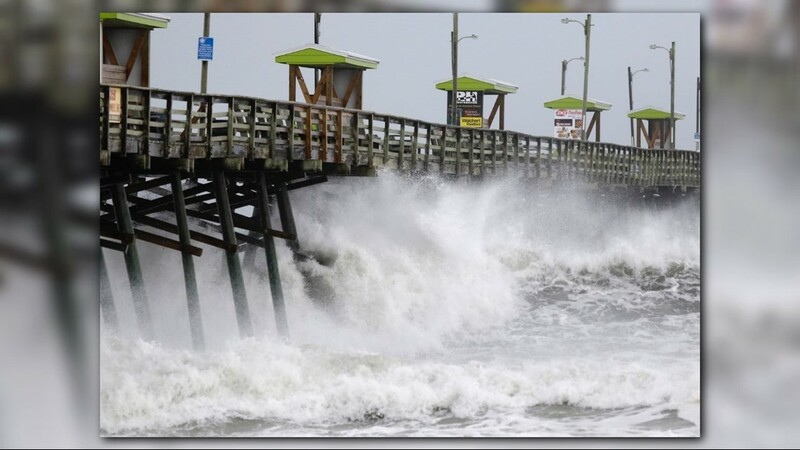 GREENSBORO, N.C. (WFMY) -- Now is the time to be prepared and stay weather aware as Florence makes its way to the Carolinas. 6:30 a.m.: Florence is now a tropical depression with 35 MPH winds. It's moving west at 8 MPH. 12:26 a.m.: Flooding threat peaks in the Piedmont & Foothills tomorrow, rain will taper off on Monday. Our flooding threat peaks in the Piedmont & Foothills tomorrow, please be careful. Rain will taper off on Monday. 10:40 p.m.: The FLASH FLOOD WARNING continues for Montgomery County until 6:15 Sunday morning. 10:37pm - The FLASH FLOOD WARNING continues for Montgomery County until 6:15 Sunday morning. 8:00 p.m.: Florence is now moving by Florence, SC. 6:49 p.m.: Power lines fell onto a truck on Trinity St. between Conrad St. and Mason Way in Thomasville, no injuries were reported. 6:26 p.m.: Tree hanging over a power line on HWY 73 just outside of Mt. Gilead city limits in Montgomery County. 5:25 p.m.: Signs of flooding in Lenoir County. 4:16 p.m.: Troy Fire Department cutting down trees so they can clear roadways. 3:36 p.m.: Storm clouds and dark skies captured outside of Fayetteville, NC. 3:10 p.m.: High water signs at Hwy 258 entering Kinston, NC. 2:55 p.m.: Rain from Florence starting to hit the Triad. 2:30 p.m.: A Flash Flood Warning has been issued by the National Weather Service for several counties in central North Carolina. The counties affected include Anson, Davidson, Forsyth, Guilford, Montgomery, Randolph, Richmond and Stanly. 2 p.m.: Cumberland County, the city of Fayetteville and the town of Wade have started mandatory evacuations. 1:30 p.m.: Things are getting a bit heated at the coast over gas. Also, the number of power outages in the state has dropped to 777,937. 10:30 a.m.: The state says power outages are now north of 800,000. There are 809,665 according to the state Department of Public Safety. 9:30 a.m.: Fayetteville police have tweeted a photo of some of the damage in the city. 7 a.m.: Power outage totals continue to increase. 6 a.m.: Wow, check out this before and after shot of downtown Wilmington from Luke Lyddon. Looks like power is slowly coming back to parts of New Bern. The state now reporting the power outage total is at 780,964. Most outages are at the coast and eastern part of the state. 11:25 p.m.: The extreme flooding threat that Florence poses. 10: 00 p.m.: Tim Buckley and Terran Kirksey are back live tracking Tropical Storm Florence as it moves into the Triad! 9:00 p.m.: Live weather update from meteorologists Tim Buckley and Terran Kirksey! Addressing what to expect from Florence over the weekend. 8: 00 p.m.: Amazing sunset captured by Dylan Allen in Montgomery County as Florence rolls in. 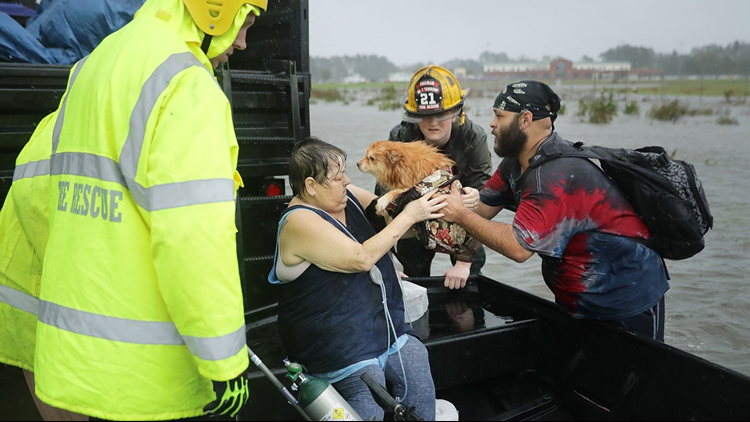 7: 15 p.m: -- (AP) Dozens of people in the North Carolina town of Belhaven had to be rescued from the rising waters of Pungo River and a creek that together hem in the sea-level community. 6: 33 p.m.: Fire units are on the scene of a tree on a car on Highway 421 South right before Knollwood Street. 5:21 p.m.: Power outages are now up to 664,445 in North Carolina, according to state officials. 5:09 p.m.: The Haw River, Yadkin River, and Dan River are all projected to flood from the rain over the weekend. 5:00 p.m.: Gov. Roy Cooper goes live to address Florence and discuss plans moving forward to keep NC safe. 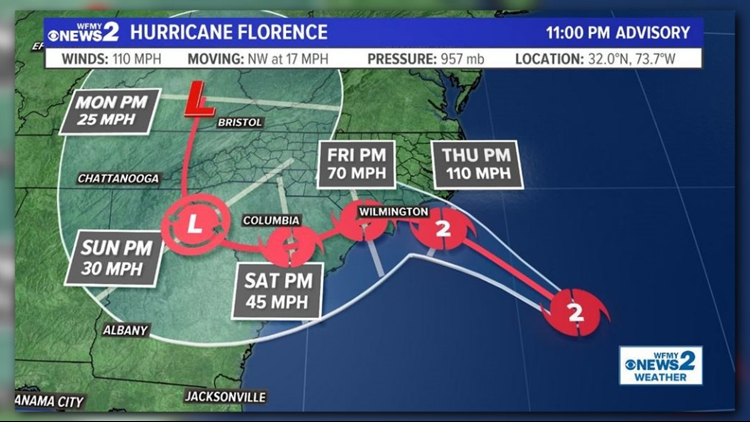 This is apart of our coverage on Florence from the coast to the Piedmont Triad. 4:47 p.m.: WFMY's Hannah Brewer reporting on the massive flooding in downtown Wilmington in the Riverwalk area. 4: 42 p.m.: Firefighters pray together after mom and baby killed in Wilmington. 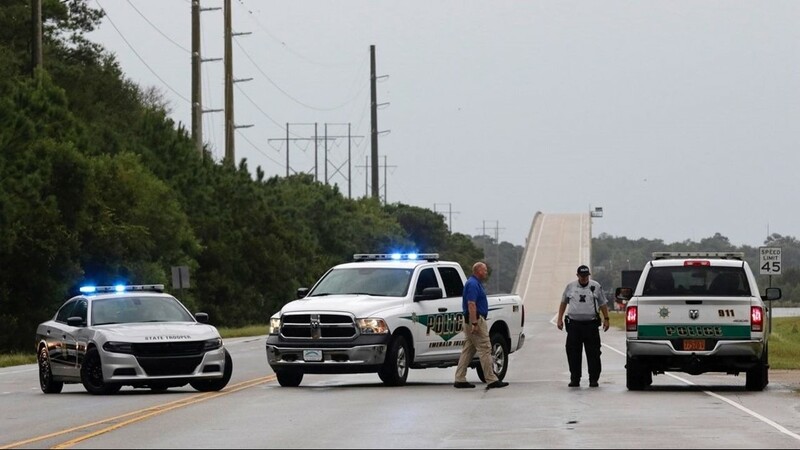 The two died after a tree fell on a house, while the Category 1 hurricane throttled the eastern North Carolina coastline Friday morning. 4:40 p.m.: The rainfall with Florence is more than 300 miles wide! 4:16 p.m.: A fifth death was confirmed due to Hurricane Florence. A 77-year-old man in Kinston died while checking on his hunting dogs outside in the storm. He was blown down at 8:00 a.m. at his home on Middle Street. His body was also found by family. 3: 54 p.m.: Four people, including an infant, have been killed by Hurricane Florence Friday in North Carolina, according to local and state agencies. 3:45 p.m.: Meteorologist Tim Buckley warns of two long days ahead! 3: 30 p.m.: Beachfront homes and other properties in North Topsail Beach, NC hit by Florence on Friday. 3:20 p.m.: Max wind gusts for Friday. 3: 00 p.m.: WFMY started live coverage from all across the Carolinas on Florence. 2:48 p.m.: Four people have been detained overnight in New Bern by the Brunswick County Sheriff's Office after break-ins during Hurricane Florence. 1:15 p.m.: WFMY Meteorologist Terran Kirksey has the latest flood risk maps for our area. Areas south and east are more at risk. 1:10 p.m.: NC Emergency management now says there's 600,000 power outages in the state. 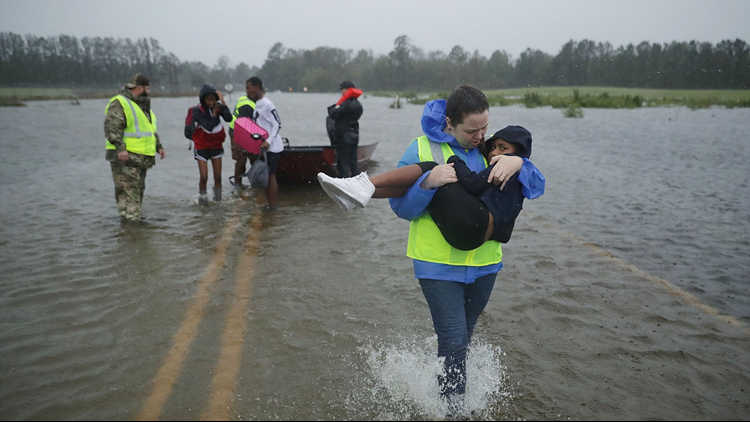 11:30 a.m.: Emergency crews in North Carolina made more than 100 swift water rescues Thursday night into Friday morning, according to Governor Roy Cooper, and they are expecting to make more as Hurricane Florence wreaks havoc on the coast. Cooper held a press conference Friday morning, urging residents to stay sheltered in place as wind gusts as high as 105 mph swept through the impacted area, breaking a wind speed record last set in 1958.
Cooper said emergency response crews are already out and rescuing people, while still more are standing by to respond as the storm moves through. High winds are expected to pick up through central North Carolina today, he said, putting trees, homes and power lines at risk. Friday morning, around 500,000 people were already experiencing power outages, while Duke Energy had previously said they are preparing for up to 3 million customers to be in the dark by the time the storm clears out. Cooper also warned residents to be wary of not just wind, but the flooding that will come later. 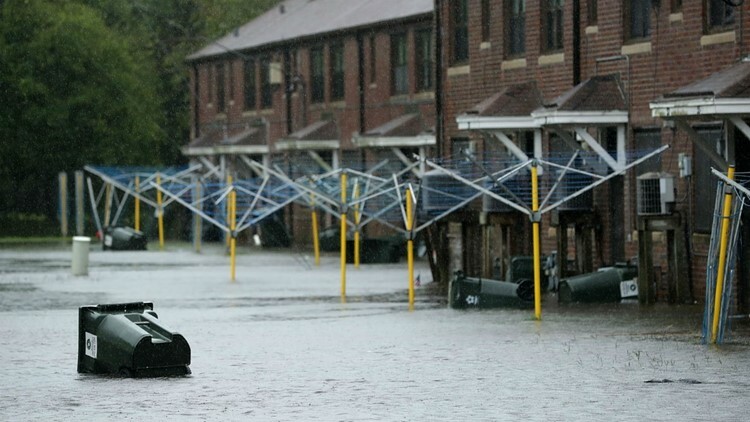 A thousand year flood means that, statistically speaking, a flood of that magnitude or great has a one in 1000 chance of happening any given year, according to USGS. “The storm is wreaking havoc on our state and we’re deeply concerned for farms, for businesses, for schools and even whole communities which could be wiped away,” Cooper said. 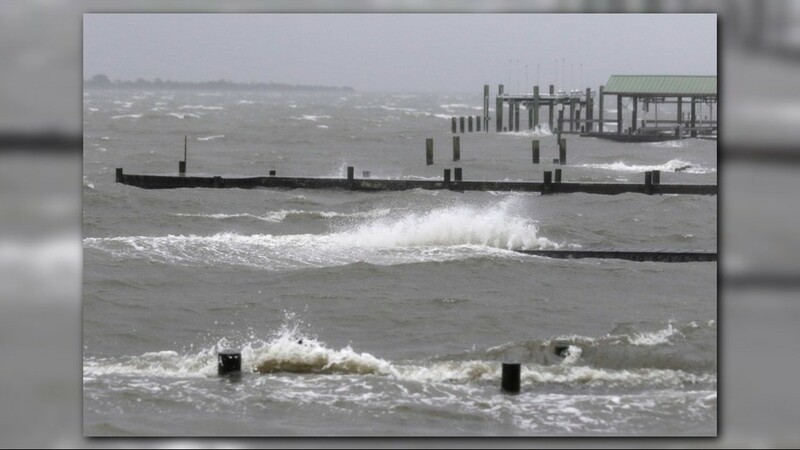 Officials said they are planning on conditions worsening in the next three to seven days. 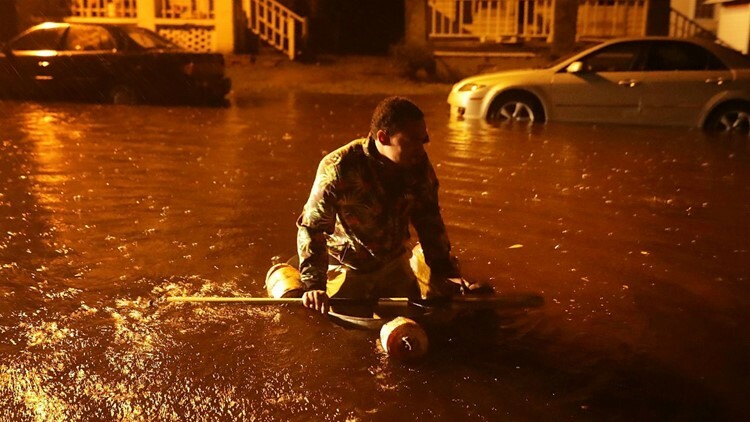 The North Carolina Disaster Relief fund has been activated, Cooper reported. Anyone wishing to donate to help the state rebuild following Florence should visit Rebuild.NC.gov or text “Florence” to 20222. 10:30 a.m.: North Carolina Governor Roy Cooper and state officials are holding a news conference at 11 a.m. with another update. 10 a.m.: Images from a rescue in James City are are starting to roll in. Volunteer Amber Hersel from the Civilian Crisis Response Team helped rescue 7-year-old Keiyana Cromartie and her family from their flooded home on Friday morning. This photo is from Chip Somodevilla/Getty Images. Crews also helped a woman and her dog to safety. 9:58 a.m.: The North Carolina Department of Public Safety announced there are now 485,143 power outages across the state. 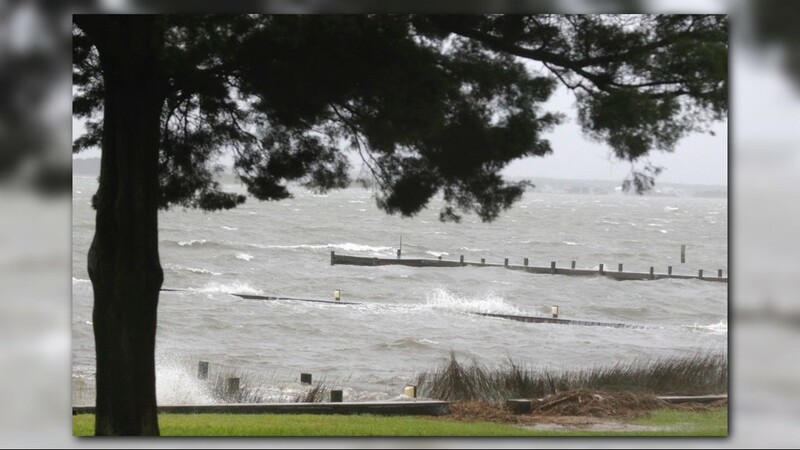 Officials tweeted the highest concentrations of outages were closest to the ocean in the following counties: Beaufort, Bladen, Brunswick, Carteret, Columbus, Craven, Duplin, New Hanover, Onslow, Pender, Robeson, Sampson, Wake and Wayne. 9:20 a.m.: Power outages are now starting to pile up in central North Carolina. There's exactly 4,000 outages in Guilford County and nearly 2,000 in Chatham County. 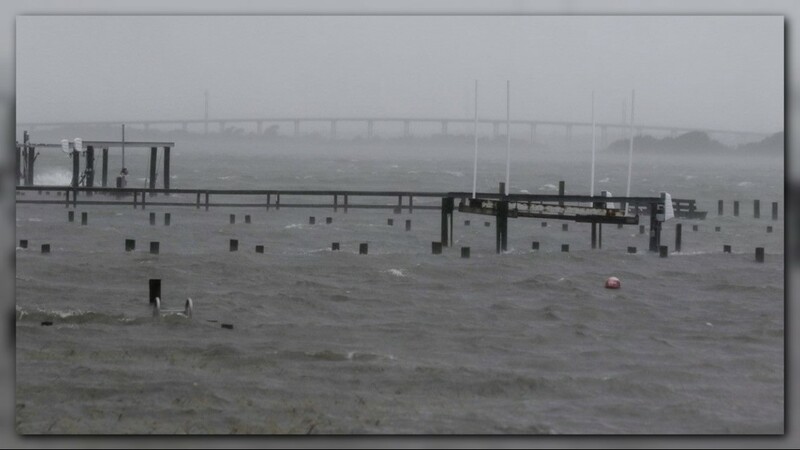 8:15 a.m.: Some photos of the flooding at the coast have started to come in. 7:45 a.m.: The National Hurricane Center tweeted that Hurricane Florence made landfall near Wrightsville Beach at 7:15 a.m.
7: 15 a.m.: The National Weather Service has issued a tornado watch for much of eastern North Carolina. 7 a.m.: The North Carolina Dept. of Public Safety is reporting 372,095 statewide power outages. Duke Energy's power outage map is showing their heaviest outage numbers in New Hanover County (76,056) and Carteret County (24,470). 6:30 a.m.: Luke Lyddon and Hannah Brewer are also in Wilmington where things are really starting to get hectic. 5:30 a.m.: Chad Silber is live with an update from Wilmington as heavy rain and strong winds are causing tens of thousands of power outages in New Hanover County. 11:30 p.m.: No flooding expected on Friday, but the wind really picks up. Flood concern grows high on Saturday and on Sunday. 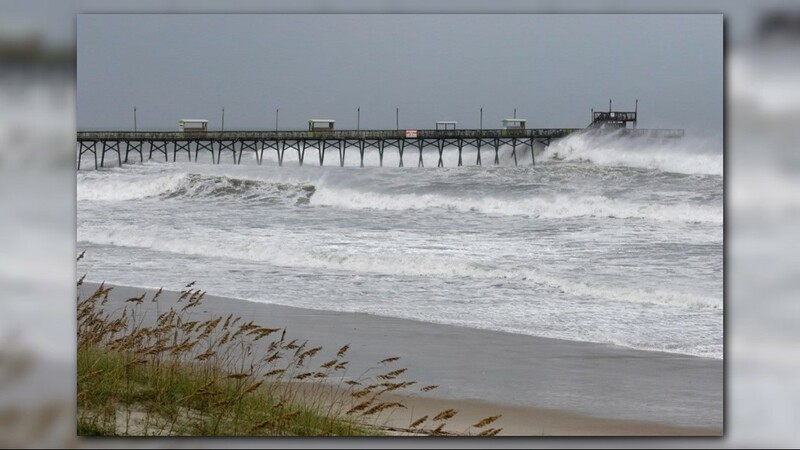 9:48 p.m.: Huge waves battered this pier in Topsail Beach, North Carolina on Thursday ahead of Hurricane Florence. 9: 10 p.m. Utility crews from as far away as California and Canada have been brought to North Carolina to respond to what could be millions of power outages following Hurricane Florence. 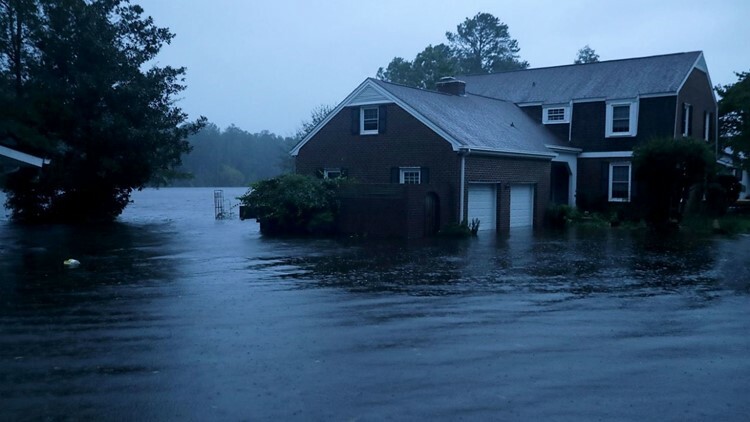 8:52 p.m.: WCTI meteorologists in New Bern were forced to evacuate station due to flooding. 8:45 p.m.: NICU babies from hurricane zone transported to Charlotte. explained Megan Elliot, nurse manager at Levine Children’s Hospital's Neonatal Intensive Care Unit (NICU). 7:50 p.m.: The shelter in Alamance County at Lamb’s Chapel in Haw River has opened up. Capacity for 100 people. Red Cross stated once this shelter is at capacity, they will try to open up another shelter at the Burlington Fairchild Community Center. 6:30 p.m.: Unpleasant days ahead with wind and rain through Sunday. 6:25 p.m.: A look at the Frying Pan Tower near Bald Head Island. 6:00 p.m.: Moses Cone Health is providing free virtual healthcare visits during Hurricane Florence. People in need can get a phone or video medical visit without having to travel through heavy rains or potentially flooded streets. Once registered for services, you can use the coupon code 'CONEFLORENCERELIEF' (all caps) to avoid the usual $49 charge. 5:52 p.m.: Guilford County EMS 'Storm Truck' Is ready to roll! 5:36 p.m.: Storm clouds rolling into the Triad. 5:30 p.m.: Incredible photos show the power of hurricane Florence in Emerald Isle Thursday. 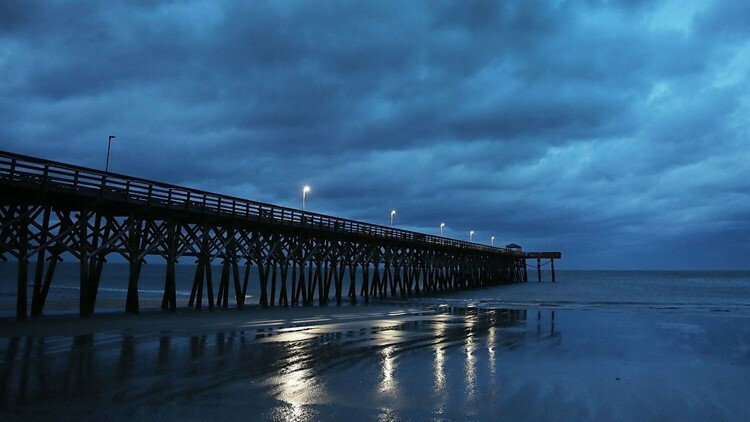 Photos taken Thursday, September 13 in the coastal NC town of Emerald Isle show the power of Hurricane Florence as it slowly churns toward the coast. 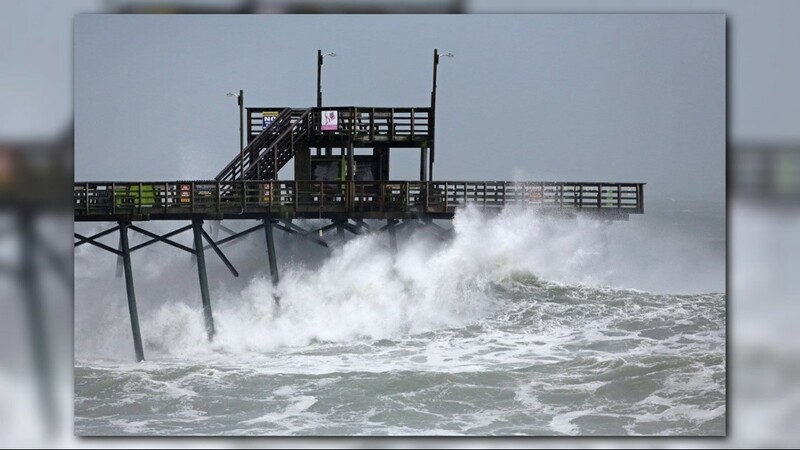 As of 5:30 p.m. Thursday, the eye of the storm was 80 miles south-southeast of Emerald Isle. 5:19 p.m: Expected effects from Florence on the Piedmont. 5: 11 p.m.: Hurricane Florence update from meteorologist Terran Kirksey. 5pm #Florence Advisory: It's beginning to make its westward turn toward the coast. 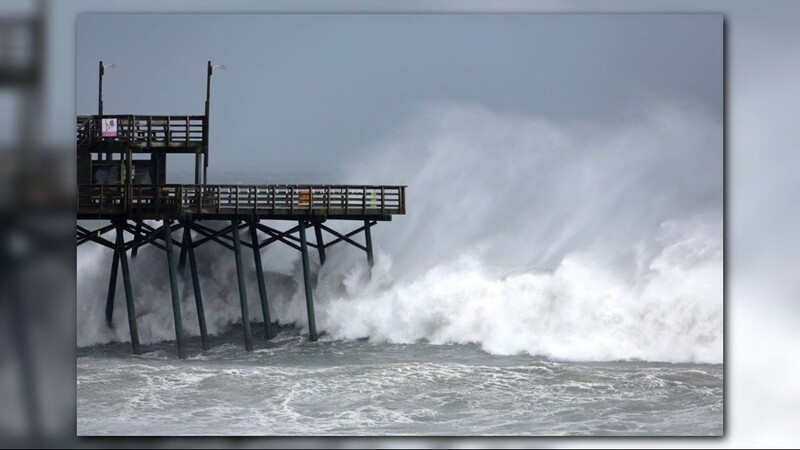 5:04 p.m.: North Carolina Governor Roy Cooper warned residents to be careful as the outer bands of Hurricane Florence began to hit the coast on Thursday afternoon. Cooper said 126 shelters are open across the state, with more than 12,000 people already staying at them, as of Thursday evening. Cooper said there will be more shelters opening as needed and “as we speak.” He estimated around 1 million people have evacuated. He went on to explain as the storm moves inland, and the rivers begin to rise, many people inland will likely need to evacuate as well. 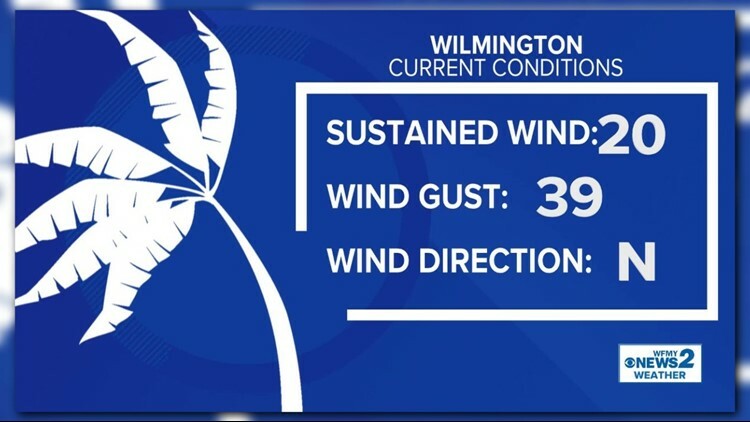 4:45 p.m.: Current conditions in Wilmington. 4:00 p.m.: Despite Hurricane Florence being hours away, one pub in Wilmington is open all weekend! 3:40 p.m.: Winston-Salem Police prepare for hurricane, receive survival kits! 3: 34 p.m.: City of Mebane taking no chances. Loading up anything that might turn into a projectile. 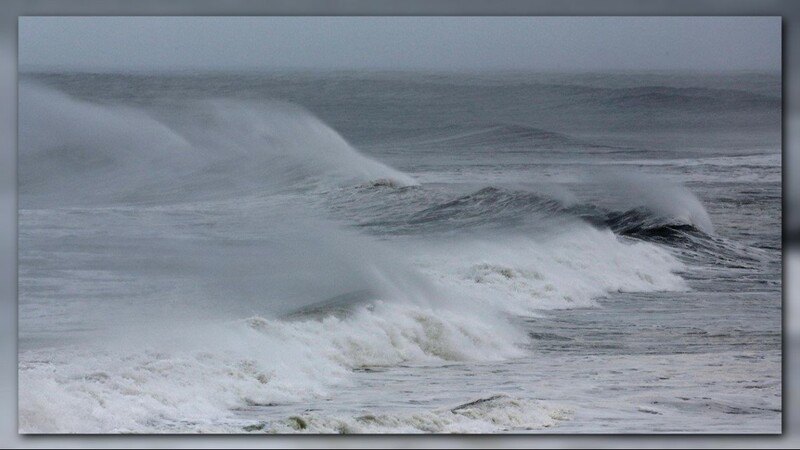 3:30 p.m.: Flooding at Hatteras Island. 3 p.m: Rain starting to come down in Wilmington. The rain has started in Wilmington. 2 p.m: No changes to the track of Florence. 1:52 p.m.: Outer bands of Florence are approaching the Triangle region. 1:45 p.m.: Chad Silber is in Wilmington today, where police aren't allowing many cars into nearby Wrightsville Beach. 11:45 a.m.: Here's the rainfall amounts we're expecting at this point in the Piedmont. Note these are subject to change. 11:10 a.m.: The 11 a.m. advisory is out with an updated track for Florence. Here's an update from our team and the revised track. 10:20 a.m.: North Carolina Gov. Roy Cooper held a media briefing earlier this morning. He advised residents to not let their guard down. "Some say North Carolina is getting a break, but we are on the wrong side of this story," he said. "We cannot under estimate this storm. We will have tropical storm force winds and rain and storm surge continues to be our main concern with extreme flooding. We will have catastrophic effects." Cooper said 108 shelters are open across the state, with more than 3,000 people already staying at them. More evacuees are expected to arrive later today. Cooper said he hopes more shelters will also open today. He warned residents to be prepared for mass power outages that could last for days or weeks, echoing the sentiments shared by Duke Energy yesterday. The power company has warned that up to 3 million people could be left without power for an extended period of time following Hurricane Florence. Cooper also announced there are 2,800 National Guard troops in different staging areas of North Carolina. Between both Carolinas, there is a total of 6,400 guardsmen on duty ahead of the storm. 8:50 a.m.: Florence inching closer to southeastern North Carolina. 7:40 a.m.: Clouds are moving in and the wind is picking up in downtown Wilmington as Hannah Brewer reports. 7:10 a.m.: Maddie Gardner says there are 27 evacuees at Lawrence Joel Coliseum Thursday morning. Medical staff, security and other volunteers are on site. 6:40 a.m.: Here's the latest rain forecast for Florence. 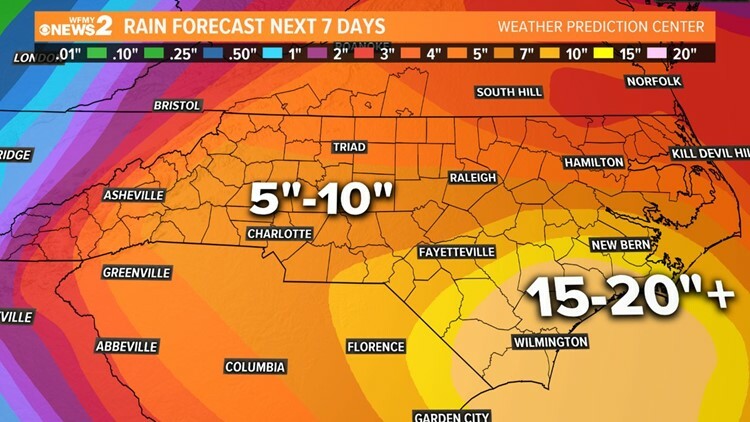 The rain forecast from Florence as of Thursday morning. 6:10 a.m.: Maddie Gardner is at Lawrence Joel Coliseum in Winston-Salem, which is serving as an emergency shelter for the Hurricane. 5:45 a.m.: We're live in downtown Wilmington where our own Luke Lyddon and Hannah Brewer are checking out how businesses are preparing for Florence. WFMY News 2 will be updating this live blog throughout the duration of Hurricane Florence with the latest emergency information from the state and from the #StormTrack2 team in Wilmington and around the Carolinas. Hurricane Florence is expected to bring life-threatening storm surge, catastrophic flash flooding, and significant river flooding. Emergency shelters are open around the state, people are being warned to expect to be without power for several days. "Every county and every person in North Carolina needs to stay alert and take this storm seriously," Gov. Roy Cooper said. 11:00 P.M. Advisory: Hurricane Florence downgraded to a Category 2 storm. 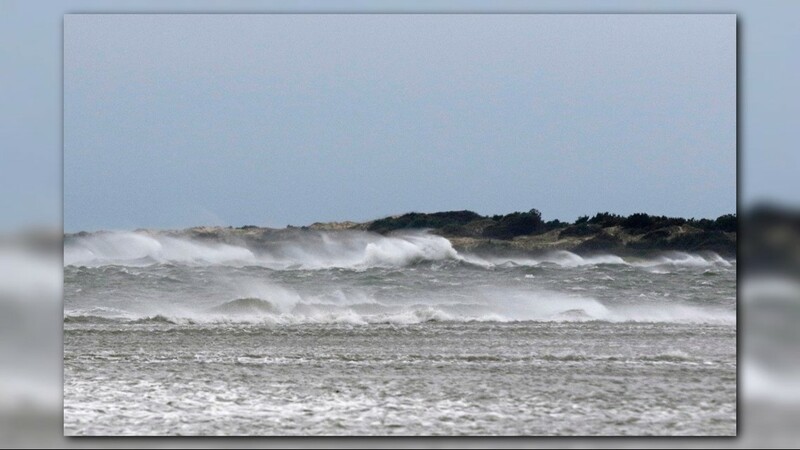 Slightly weaker down to 110 mph. It's expected to slow near Wilmington as it moves inland. 10:00 P.M. - Two busloads with evacuees from the North Carolina coast arrive at the Lawrence Joel Veterans Memorial (LJVM) Coliseum in Winston-Salem. The LJVM is ready to take in 1,000 hurricane evacuees. The evacuees were taken to the LJVM after two coastal emergency shelters at capacity closed. FEMA has released a helpful aid for anyone trying to find an emergency shelter - just text 'SHELTER' and your five-digit ZIP code to 4FEMA (43362). 1,500 federal and state emergency response personnel and military crews from North Carolina and the rest of the nation will be stationed at the Global TransPark. Fifteen NCDOT drones and multiple teams of pilots are being readied for post-hurricane damage assessment. 5:00 P.M. - Gov. Roy Cooper gives the latest update at 5:00 p.m.
News conference includes preparations being made ahead of Hurricane Florence. Emergency Management gives an update as far as National Guard staging areas, utility crews, and issues another warning for all to be ready for Hurricane Florence. An hour after giving an update Chad Silber tweeted out this photo of the clouds moving into the area over Wrightsville Beach. WFMY News 2's Hannah Brewer is also back in Wilmington to report on Hurricane Florence. Brewer spent eight years in Wilmington before coming to WFMY News 2. Opening: Thursday, September 13 at noon for anyone who needs a safe place to stay locally. Also, for open for April Tornado victims. The shelter will be open 24 hours a day until further notice. Items to bring: Medications, toiletries, a pillow and blanket, a sleeping bag and a towel. Opening: Thursday, September 13 at 4:00 p.m.
For more information about the shelter, contact the Red Cross or 336-333-2111. Program all your emergency contact numbers and email addresses into your mobile phone. It's important to include the police department, fire station and hospital, as well as family members. A disaster or tragedy is unexpected and often brings out strong emotions. The Disaster Distress Helpline 1-800-985-5990 can provide immediate counseling to anyone who is seeking help in coping with the mental or emotional effects caused by Hurricane Florence in North Carolina, South Carolina, and Virginia. Rockingham County Schools: Closing 2 hours early on Thursday, and will be closed completely on Friday. On Friday, all schools will operate on a Plan 3, this means students and staff do not report and childcare is closed. Winston-Salem Forsyth County Schools: All schools will be closed Thursday and Friday. All activities at the school are canceled from Thursday to Sunday. Davidson County Schools: All afterschool activities for Thursday and Friday are canceled. Weather will be monitored before any other schedule changes and cancellations are made. Alamance-Burlington Schools: All Friday varsity football games have been moved to Wednesday evening. Weather will be monitored before any other schedule changes and cancellations are made. Guilford County Schools: Thursday, Sept. 13, Guilford County Schools will close two hours early in anticipation of inclement weather related to Hurricane Florence. ACES and all after-school activities have been canceled for Thursday and Friday, including but not limited to all athletic contests and practices, field trips, performances, meetings and ACES after-school care. Montgomery County Schools: Thursday, September 13, Montgomery County Schools will close at 11 a.m. and remain closed on Friday. School officials said further information will be forthcoming about certain schools being used as shelters from Montgomery County Emergency Management. Stokes County Schools: All after school and evening events on Friday and Saturday have been canceled or rescheduled. Officials said they will continue to monitor the weather and post updates on their Facebook page. Randolph County Schools: All schools in the Randolph County School System will release two hours early on Thursday and will be closed Friday, September 14. Thomasville City Schools: Students will be on an early dismissal schedule Thursday, with k-5 students at Liberty Drive and Thomasville Primary dismissing at 12 p.m. and 6-12 students at Thomasville Middle, Thomasville High and Bulldog Academy dismissing at 1 p.m. All schools will be closed Friday, and all after school activities are canceled Thursday through Saturday.